Balancing Jane: Blogging to My PhD: Do I Need to "Get Real" About My Teaching Goals? Blogging to My PhD: Do I Need to "Get Real" About My Teaching Goals? I've managed to fall down a research rabbit hole and have spent the past few days wading through a decades-old (or, depending on how you want to tilt your perspective, millennia-old) debate. This particular iteration of the debate took place when Min-Zhan Lu published a 1992 article titled "Conflict and Struggle: The Enemies or Preconditions of Basic Writing?" In it, Lu makes an argument very similar to the one that I'm using at the core of my dissertation: students labeled "remedial" are particularly positioned at a place of conflict in the academy, and a pedagogy that accepts (and even seeks) that conflict will serve them better than one that attempts to ignore or mitigate it. In making that argument, Lu angered several of her contemporary colleagues in basic writing. This entire conversation is absolutely fascinating to me, but I wanted to pull out one particular thread of this very dense ball of yarn and explore it a little more in the context of my own philosophical beliefs, personal experiences, and professional practices. In her essay, Lu cites the work of Peter Rondinone, a writing instructor and child of Russian and Italian immigrants who himself took remedial writing courses. Lu uses Rondinone's work to illustrate that most basic writing pedagogy falls into an either/or dichotomy that forces conflicted students to choose between their "home" discourses and the discourse practices of the academy. Indeed, in his essay "Teacher Background and Student Needs" Rondinone says that "the very process of becoming educated alienated me from the community"(51) and that his own experiences of having to "reject or betray" family and friends (42) in order to succeed academically informs the way he teaches and talks about sacrifice to his students. He takes issue with Lu's characterization of his beliefs, though, and responds to them in a "Symposium on Basic Writing, Conflict and Struggle, and the Legacy of Mina Shaughnessy." Here, Rodinone doubles down on his view that he "had to distance himself from [his] uneducated family and community" in order to succeed in college and that he is very upfront with his students about that fact. He "plant[s] the idea in the minds of Basic Writing students that sometimes their will and/or ability to enter an educated discourse community might be impeded by the people closest to them" (883). So, rather than disputing what Lu had to say about his views, he actually reinforces her interpretation. However, he says that Lu's "idea of suspension between two worlds and continual motion seem naive" and he uses that naivety to justify his decision to cut ties with his old world in order to fully immerse himself in the new (884). He goes on to say that "many students who come from these places don't come into the classroom ambivalent. We have looked at the other side of the street, at those who use the drugs, guns, and violence, at our own homes with welfare and economic despair; and by virtue of having decided to come to college, to carry books, we have made a choice (a choice that could get our hearts cut out). We have decided to change our social allegiances" (884). In many ways, Rondinone positions Lu's insistence on borderland existence as a way to cheat him and others like him out of what they seek from education: "Neither these students nor I romanticize our roots. What I found, for example, was that my working poor/welfare environment didn't have many values worth clinging to" (884). Finally, Rondinone says that "Lu and her supporters need to get real about the world" (885). I'm among Lu's supporters. Do I need to "get real"? Elsewhere in this complex conversation, Barbara Gleason (another critic of Lu's work) says that "a poststructuralist critique, by its very nature, cannot do justice to Basic Writing pedagogy" and that such an attempt "may well serve the teacher-researcher's interests better than it serves the students' needs" (886). Am I serving my own needs rather than my students' by reading my pedagogy through a poststructuralist and postmodern lens? Reading these critiques made my heart pound for a moment. The very last thing that I want to do is set up any more barriers to academic success for my students, students for whom barriers are constantly erected on a daily basis. Then I got to Lu's response to her critics, and I was heartened once more. She explains that Rondinone need not "hover," as he put it, between two worlds. Instead, "he might want to consider the possibility of fighting and changing both worlds and their existing interrelationships." This idea of fighting to change both worlds fits very well with my view of not just what my students might accomplish for themselves but also with what I believe the entire discipline of developmental education is primed to do. The "remedial" designation situates a great number of students (at many open access institutions, the majority of the student body) at the margins of academic discourse, leaving them to constantly seek approval and acceptance through acclimation and, often, assimilation. The fact that remedial coursework is by virtually any measure failing miserably right now indicates that the model of assimilation needs to be reexamined. Instead, these students have the rhetorical power to make sustained changes to both the academy and to their "home" discourses. My investment in this belief is self-serving, I suppose, in that it gives me a sense of purpose as a developmental writing instructor. But I take some solace in the fact that this is not a chicken-or-egg question. I did not seek out a pedagogical underpinning to justify my career placement. I sought out a placement working with students at the margins because I wanted to work with the power I felt there. But why else did I seek out this career choice? Why did marginalized voices speak so loudly to me? It's because I, too, live in two worlds. Like Rondinone, Mike Rose, Gloria Anzaldua, Keith Gilyard, Richard Rodriguez, and countless other writers at the margins, I feel the identity crisis of existing in two conflicting spheres. As a first-generation college student, I navigated the terrain of undergraduate study clumsily and largely by trial and error. I remember talking to classmates who had anxiety about how their family discouraged them from majoring in English and pushed them toward more practical careers. I couldn't relate. My family pushed me toward nothing. 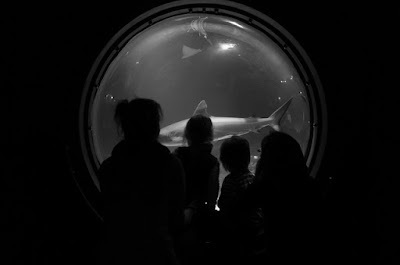 They were proud that I was in college, but their connection to that reality was like that of spectators at an aquarium. Once I made the trek from my hometown to my college dorm, I would forever feel like a specimen they admired from behind glass: exotic, other worldly, and perhaps dangerous if released. If my undergraduate degree erected a glass barrier, the decision to pursue graduate education dug a moat. The tensions between who I was and who I was becoming were more and more pronounced with every visit, every phone call home. We had less and less to talk about, and I began to sense resentment at the edges of the assurance of pride. At the same time, I couldn't quite find a place to stand in my new world. I had felt relatively at ease in undergrad, but perhaps it was because I was at a state school with relatively low admission standards. I was surrounded by many other first-generation students and people from working class backgrounds. When I got to graduate school, though, I didn't recognize my own experiences in most of the conversations around me. I, like many of the writers cited above, grew up on welfare and within the constant-eggshell-walk of an abusive home. My experiences were always, always shaped by thoughts of my family members who were one flat tire away from unemployment and one bad flu away from not being able to afford groceries. When I mentioned these things, I often felt again like a specimen on the other side of the glass. I was given pitying clucks of the tongue. I was admired for my "grit" and ability to climb out of that life. I believe it was this experience of being caught between both worlds that led me to my career choices. I realized early on in my graduate studies that I wanted to teach in an open access institution. Although I had personally never struggled with writing or the academic aptitude of school, I struggled mightily with the ability to feel like I belonged, and I wanted to work with students who also felt that way. So back to Lu's critics. Does my desire to find students who feel like I felt make me read conflict when it isn't there? I don't think it does. The daily realities of teaching developmental writing in an open access urban institution confound me. Many of my students fight homelessness and poverty. Many are single parents, war veterans, and people just returning from prison. 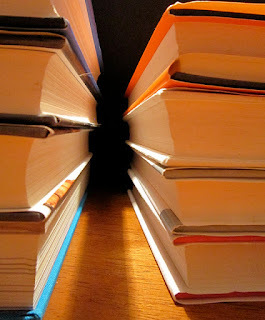 Many have learning disabilities, no computer skills, and a fear of full-length books. Many of my students are racial minorities who have lived in some of the most segregated parts of the city their whole lives. I have students whose family members so dislike the idea of them going to school that they sabotage them by stealing their homework or taking their cars. I have students who ride on buses five hours a day just to get to school. I have students who come into an 8am class after having worked a 12-hour overnight shift. I have students who amaze, inspire, and surprise me every day. It does not, however, take much seeking to find conflict. And what of the claim that applying a poststructuralist lens to developmental writing is a self-serving act of the researcher? Poststructuralism is not a fun toy that I bring out to play with when I'm bored. Poststructuralist theories have helped me make sense of my place in a conflicted and disparate world. I do not read through a poststructuralist lens because I have nothing better to do; I read through that lens because I believe in its power to illuminate truths. It feels to me like Rondinone and Gleason's twin criticisms (to "get real" and to stop using poststructuralism as a cool tool) both amount to the same complaint: those of us advocating for a pedagogy of conflict are not situated enough in the real, tangible experiences of students' lives. Everything I know about how I got where I am tells me, however, that the opposite is true. It is my own real life, fragmented and fluctuating as it is, that led me to this place. It is my own desire to break through the glass on both sides of my dual lives that has me advocating for a pedagogy of conflict. I am not asking anyone to hover between the lines, constantly flitting back and forth. 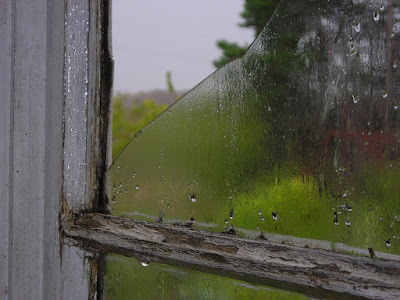 I am demanding that we put cracks in the glass and allow a bit of our world to trickle through, altering the experiences of those on either side.